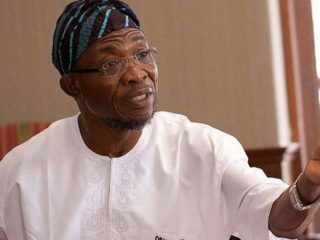 Osun state governor, Rauf Aregbesola has taken Senator Iyiola Omisore and his Peoples Democratic Party (PDP) to the cleaners, saying they lack integrity to condemn his policies and achievements in office. 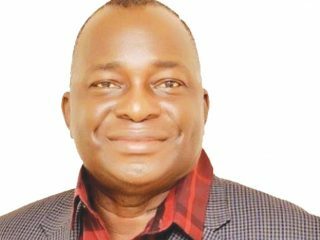 The governor held that the legacies that he is leaving behind in the state surpass what previous administrations did in the state especially the seven and a half years of the PDP. Aregbesola threw the challenge while addressing a gathering during a New Year party organised by the leadership of Yoruba Patriots Movement (YPM) in Ila-Orangun, Ila Local Government Area of Osun state.He said the state under his watch has in the last seven years witnessed tremendous turnarounds, compared to what he met on ground on assumption of office seven years ago. 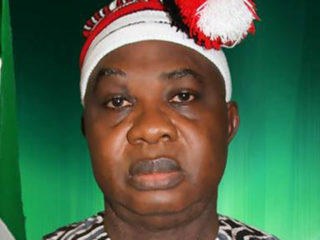 The governor, responding to a statement credited to Senator Omisore that his administration has failed the people of the state, stated that Osun was almost run aground when Omisore and PDP government were in power. 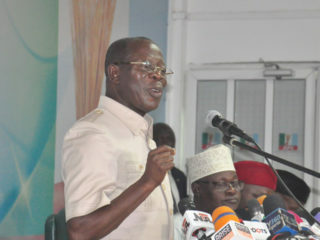 He expressed displeasure over what he described as ‘incompetency and bad governance’‎ the seven and a half years of PDP administration in the state, attributed the years as a ‘complete waste’, noting that Osun would have collapsed if not for him, describing the circumstances of his emergence as a ‘necessity’ saying he came to government at a time the people of the state not only needed drastic change but good governance. Meanwhile, the state government has directed all relevant agencies in the state to begin ‎necessary processes and modalities for offsetting the arrears of the monthly stipend owed past and present members of the National Youth Service Corps (NYSC) who served (and are still serving) in Osun. 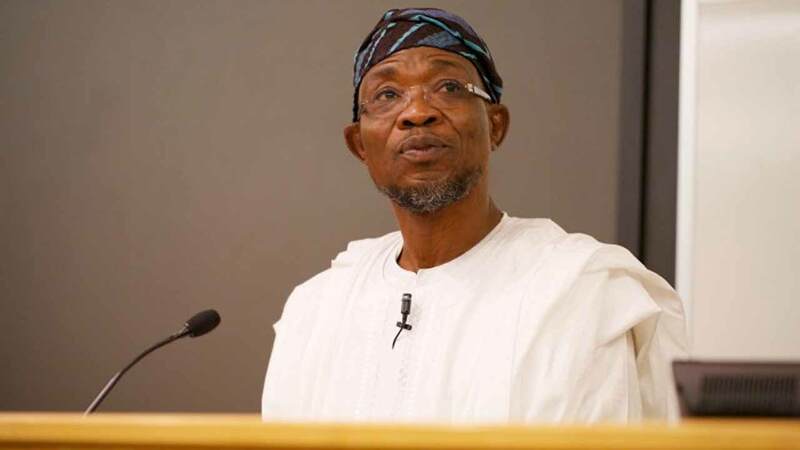 He described the N500‎ billion debt allegation as total falsehood, saying no right thinking individual will believe that a state like Osun could be given N500 billion as loan.In his remarks, the Orangun of Ila, Oba Wahab Oyedotun, applauded Aregbesola’s developmental strides, saying the government has performed excellently well in the last seven years.